A number of years ago my goal in life was to write the great American novel. As part of my learning the craft of writing I enrolled in a course one summer at the Gotham Writers’ Workshop. An exercise from the class still resonates with me as being one of the more useful ways to grow as a writer and I thought I’d share in the hopes you’ll find it useful too. Before getting to the writing exercise allow me to give the Gotham Writers’ Workshop a recommendation. It’s been about a dozen years since I took a class there and I still consider it time well spent. Even the one course helped take my writing to a level it hadn’t seen before. If you happen to be in the New York City area you might want to sign up and I just noticed on their web site they also offer online courses. During the 10 or so week course every student was asked to submit two pieces of writing for the rest of the class. This was a course in fiction so submissions ranged from poetry to short stories to chapters from a novel. You would make a copy for everyone in the class including the instructor and each would have a week to critique what you’d given them. If you’ve never shared your writing with a group of strangers before, it’s no easy task. It’s a quick step outside your comfort zone. The critiques followed a specific format. If you liked something you underlined it. It might be a word or an entire passage. If you liked it you drew a line underneath. Consequently if you didn’t like something you drew a squiggly underneath. Anything you didn’t understand received a question mark. None of the above came with any explanation. Just the underline, squiggly, or question mark. During the week after you handed out your work you would sit quietly while everyone else discussed it. The teacher would go around the class asking for something someone liked or asking for a suggestion to improve the work. All the time you were to remain absolutely quietly while a discussion was held about your writing. It was your chance to be the proverbial fly on the wall. Much more difficult to do than it sounds. We weren’t exactly a group of professional writers so finding 3 things you liked about a story wasn’t always easy. The meat of the exercise for me and the part I really want to share with you is the last part, the 3 suggestions for improvement. In having to come up with ways to improve someone else’s writing you were forced to really think about the craft. The more I put into the suggestions, the more I found my own writing improve. Unfortunately many in the class didn’t spend the time working on these critiques. Their loss I guess. Suggestions for improvement could be anything from rewriting a passive sentence to one using an active voice to making major structural changes. The key for me was again how much effort I put into helping someone else. An example I still remember was for a story where the protagonist in a very key scene at the end was only introduced a sentence or two before the key scene. A new character came across to me as a cheap way to solve the conflict in the story and my suggestion was to introduce the character in the first couple of pages and weave that character into a few choice scenes throughout the story. 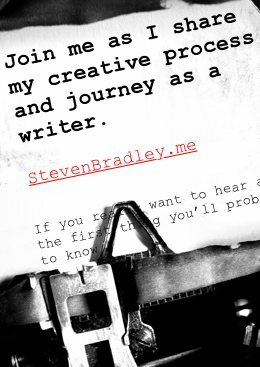 Thinking about ways to improve someone else’s writing helped tremendously in improving my own writing. I emerged from the course with a stronger writing voice and a better understanding of the craft that is writing. I don’t think you have to take part in a writing workshop to make these critiquing exercises work for you. Once again coming up with ways to improve a piece of writing that isn’t your own can greatly improve your own writing. One way to apply the exercise is to take an in depth look at another blog. Start with a single post and critique it the way I described above. You can probably skip the underline, squiggly, and question mark part, but these markings were a good way to slowly ease you into the process. You can look back at the things you underlined and look for themes to decide what you truly liked and you can look at the squigglys and question marks as fodder for something to improve. I’d suggest doing this for a variety of blogs, some that you like and some that you don’t. Look at blogs related to your topic and look at blogs that are completely unrelated. Taking the time to consider different types of writing on different topics will require you to think about the craft of writing in a more diverse way. Try not to look only at great writers. Spend time with writers of varying skill levels to get the most from the exercise. The comparison between good and bad will help you see what the better writers do to make them better and you’ll be able to use those observations to improve the writing of the other blogs you critique as well as your own. The one thing you won’t get critiquing someone’s blog is feedback on your own. If you know a few bloggers you can offer to trade critiques with them. Four or five people who take the exercise seriously should be enough. You can all critique one blog in the group per week and by the time you’ve gone around the circle two or three times (if not sooner) I think you’ll notice an improvement in your writing. I thought to get you started on the process I would offer to critique a few posts. If you’re interested in having me critique one of your posts using the method described, either leave a comment with the URL of the post you want me to look at or drop me an email with the same information. After the holidays I’ll write a post on each of the critiques I can get to. Whether or not you want feedback about your posts from me or a group of fellow bloggers give critiquing some other blogs a try. Often things that we can’t see in our own writing we can easily see in the writing of others. And remember this is an exercise where the more you put into it, the more you’ll get out of it. If you do take the time and put in the effort you’ll find yourself with a deeper understanding of the craft of writing. That’s an interesting technique; I ask people to read things from time to time, but no one ever seems to know quite how to give feedback. Either it’s so positive as to be useless or ends up being stylistic (i.e. more “here’s how I’d write it”). One thing I’ve worked hard on the past few months is not having “blog envy”. When I see a good article or successful blog, I try to reflect on what that person is doing right and use that to take an honest look at my own efforts. I think that’s made a difference. Your proposal is intriguing. After the new year starts, I might be up for some kind of reciprocal critiquing with a couple of bloggers in the industry. Improving my own blog/writing is definitely on my New Year’s resolution list. I just recently stumbled across your blog, and quickly added it to my short list of “must reads” to go with my morning coffee. I appreciate the offer, and look forward (in a heady mixture of anticipation and reluctance) to the feedback. @Pete – I wish I could claim credit for the technique, but I have to give credit where it’s due. I agree with you about feedback. I know my mom and my friends are going to like my blog no matter what it’s like. It’s much more helpful to find other bloggers who aren’t necessarily so close and who can be honest with you. As hard as it is to write posts sometimes it may be even harder to find someone who can honestly provide useful feedback. Keep me in mind for your critiquing group if you put one together. Is there a post you want me to take a look at? @Rudy – Thanks for subscribing. I’ll be glad to take a look at your post. It’ll be after the holidays so I hope you don’t mind the wait. Do you want me to critique that specific post or would you rather I grab a recent one of my choosing? Any and all feedback is welcome, feel free to pick and choose at your discretion. I’ll take a look at some of your recent posts then and see if one makes more sense to me to critique. Otherwise I’ll just go with the one you linked to. Hopefully sometime after New Year’s (late next week) I’ll have something ready for you. Thank you so much for the article Stephen! For me, she was very informative. in gratitude, I would like to add some useful information from myself. Let’s start with the fact that blogging is first and foremost communication with its readers and subscribers, and for this you need to have an adequate knowledge base about the rules of writing. Recently, I came across a very interesting book called The Witcher. Here’s a link for someone who is interested in. The author has written all the dialogues with high quality in it, that when reading you have the impression of being completely immersed in the plot! This is just amazing, by the way I found another interesting resource in it gives very cool tips for novice writers. I hope I could help someone, thank you!